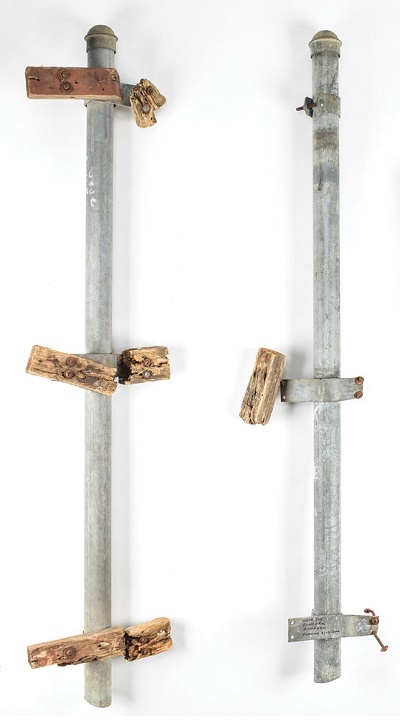 Original fence posts from the JFK Assassination’s infamous ‘Grassy Knoll’ are up for sale at RR Auction in Boston. 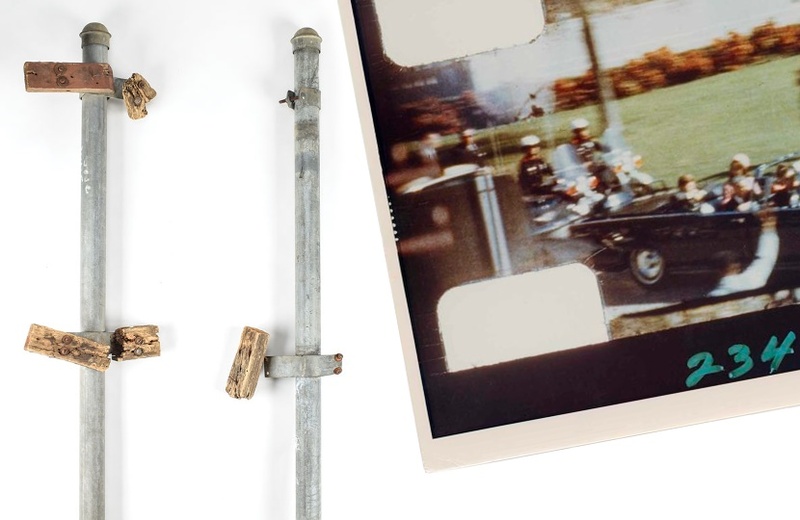 The pair of metal posts were part of the fence which stood on the spot in Dealey Plaza, where President John F. Kennedy was shot and killed on November 3, 1963. 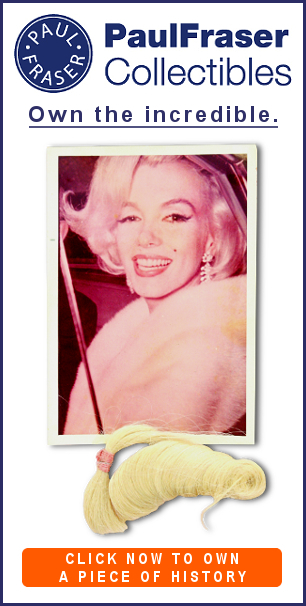 The posts are described as “the ultimate conversation piece regarding what is perhaps the greatest controversy of the 20th century”, and come with an estimated price of $25,000 – $35,000. Although Lee Harvey Oswald was caught and charged with murdering the President from the window of the Texas Book depository, many believe a second gunman was involved in the assassination. 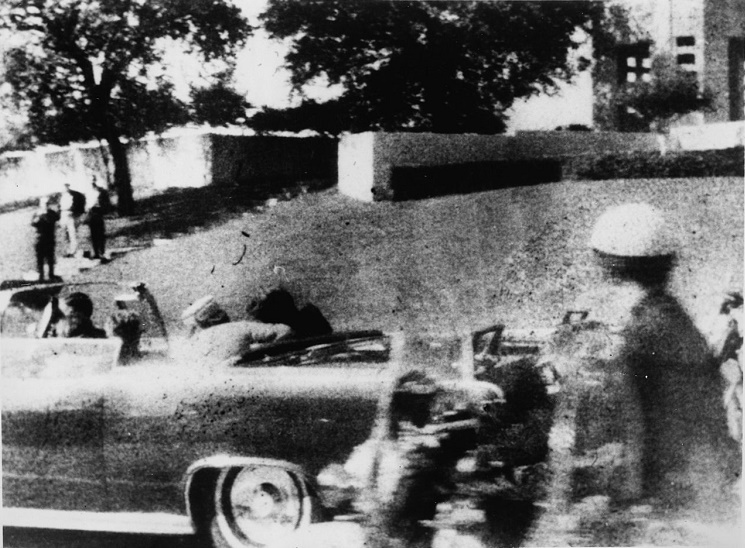 According to several theories, the second shooter fired from behind the wooden fence on the ‘grassy knoll’, just meters away from Kennedy’s car as it passed along the street. A recent poll in 2017 found that, to this day, almost two thirds of Americans believe that Lee Harvey Oswald didn’t act alone when he assassinated Kennedy. Both fence posts offered in the sale play vital roles in the evidence supporting the ‘second gunman theory’. The conclusion of the 1978 investigation hinged on an audio recording from a motorcycle police officer’s radio microphone. 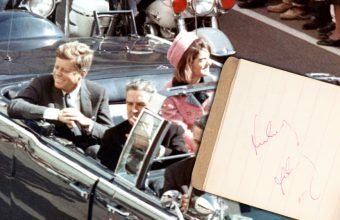 Acoustic analysis by the firm Bolt, Beranek and Newman suggested that the tape recorded the sound of four shots being fired at Kennedy – one more than Oswald fired. They stated that the third shot heard on the tape came from the direction of the fence, specifically the spot where one of the posts – now known as the HSCA post – would have originally stood. Although the audio analysis used during the HSCA investigation has since been discredited by many experts, it still plays an important role in Kennedy assassination lore. The second post is known as the ‘Badge Man Fence Post’, due to its appearance in a famous photograph of the assassination by witness Mary Ann Moorman. Many believe that one of Moorman’s Polaroid photographs, taken just moments after the fatal shots were fired, depict an anonymous figure stood behind the wooden fence holding a rifle. 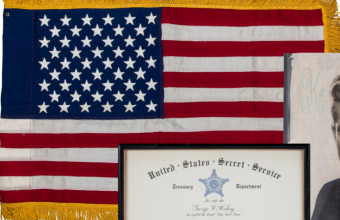 The alleged figure was discovered by photo experts Jack White and Tom Wilson, and is said to be wearing what looks like a police uniform with a visible badge on his chest. Several eye witnesses claimed to have seen a puff of smoke, similar to that of a recently fired rifle, rise from the behind the fence where the ‘badge man’ is supposedly stood – directly next to the fence post now up for sale. The entire original wooden fence from the grassy knoll was acquired in 2000 by noted Dealey Plaza tour guides Paul Crute and Ronald Dee Rice, when it was replaced by workmen for the City of Dallas. 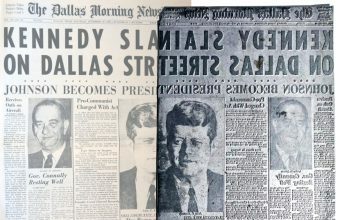 Although most of the wooden fence panels had been replaced in the intervening years, the original metal posts remained in place – and now the two most famous posts are up for sale, offering historians and conspiracy theorists alike the chance to own their very own piece of JFK history. The RR Auction sale runs online until November 7.